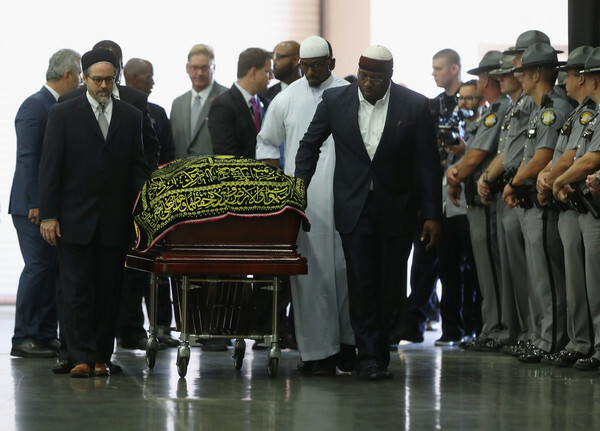 The casket with the body of Muhammad Ali arrives for an Islamic prayer service at the Kentucky Exposition Center on June 9, 2016 in Louisville, Kentucky. *Thousands of mourners gathered Thursday to attend a Muslim funeral for Muhammad Ali in his hometown of Louisville, Kentucky. 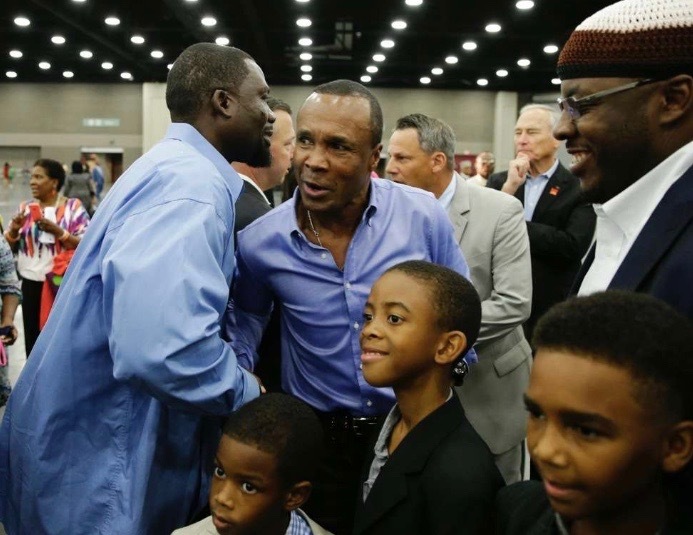 The jenazah, or funeral in Arabic, was held at a convention space in Freedom Hall, the complex where The Champ beat Willi Besmanoff in 1961 in his last fight in Louisville. An estimated 14,000 people attended the service, according to Reuters. Imam Zaid Shakir, a founder of Muslim liberal arts school Zaytuna College in Berkeley, California, led worshippers in prayers such as “Allahu akbar” (“God is greatest”) over Ali’s body, which lay in a casket covered with a black and gold cloth. 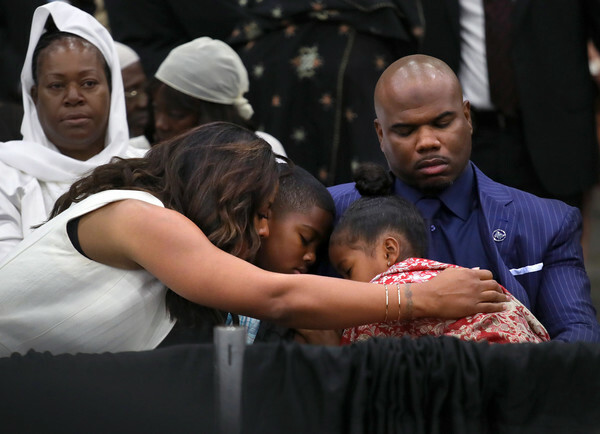 Muhammad Ali’s daughter Laila (L), comforts her family during an Islamic prayer service at the Kentucky Exposition Center on June 9, 2016 in Louisville, Kentucky. Muhammad Ali’s daughter Laila Ali attended the service with her family. 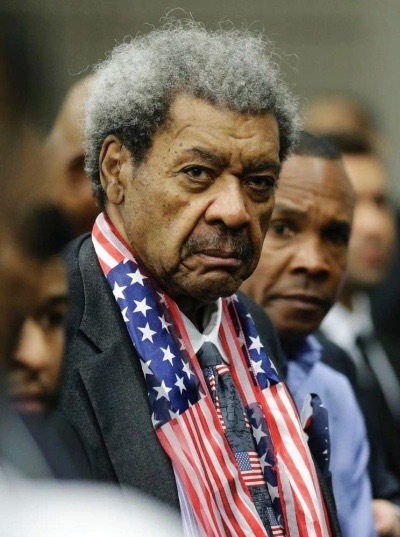 Former boxer Sugar Ray Leonard, boxing promoter Don King and Rev. 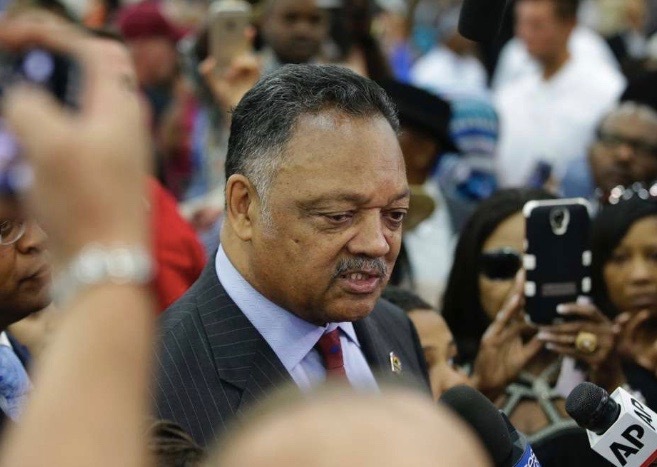 Jesse Jackson were also among the mourners. A final goodbye for Ali will take place on Friday, when thousands will gather for an interfaith service at the KFC Yum Center. Luminaries including former U.S. President Bill Clinton, Turkish President Tayyip Erdogan and comedian Billy Crystal will attend. Will Smith, who played the boxer in the 2001 film “Ali,” will serve as one of the pallbearers.